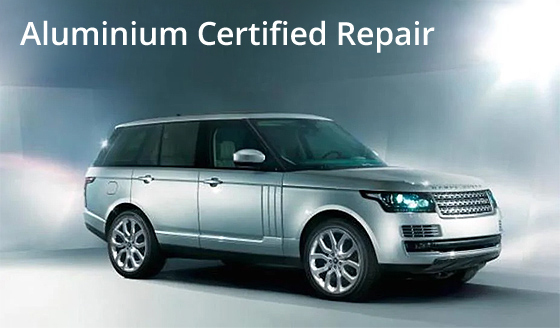 Accident Repair Centre has a dedicated aluminium vehicle repair facility. We designed it to meet manufacturer specifications. Our team of highly trained technicians includes specialist aluminium experts. ARC is one of only a few facilities in Ireland that is manufacturer and insurer approved for aluminium structural and non-structural repairs. Aluminium and steel are two totally different materials and therefore require different skillsets, tools and equipment for a quality repair. Many leading vehicle manufacturers are now using aluminium to build their cars as it is a greener product. The materials are much lighter and they absorb impacts better. Due to the lightweight construction they are also more fuel efficient. Our expert technicians have been trained to manufacturer standards in all aspects of aluminium vehicle repairs. We carry out structural repairs to the highest, Category A standards, for all manufacturers of aluminium vehicles. As an authorised aluminium bodyshop we have access to repair procedures and training from manufacturers to ensure your vehicle is repaired to the highest standard. The standard set by the manufacturer! Please fill this short form and one of our team members will be in touch shortly.